After seven seasons, winter has come. Yet the Seven Kingdoms remains as divided as ever. Dorne and the Reach are in revolt against the Iron Throne, which Cersei Lannister now controls. The North has declared its independence once more with Jon Snow as king, with the Free Folk and the Vale backing him. The Riverlands are in chaos. Daenerys Targaryen is about to make landfall. But the biggest issue at this long list of problems is that the Night King is marching on the Wall!!! This season wasn’t as epic as the previous one, to be sure. But with only seven episodes this season, and six in the upcoming final season, it was more important that all the remaining pieces be put in place as the storm approaches. And now that they had moved beyond the books, the show was in uncharted territory. There was no telling what would happen now, but it turned out to be awesome. With one day left before the final season, here are my eight favorite moments from Game of Thrones. That’s right, I’m going one up for this season! When Jon realizes that he will be unable to convince Cesei and Jaime (or fully convince Daenerys) without proof, he comes up with the craziest plan ever. He will go beyond the wall, capture a wight, and bring it back as proof for Westeros that the threat is real. He won’t be alone, though. Six other battle-tested warriors join him in the Wight Hunt: Ser Jorah Mormont, Gendry, The Hound, Beric Dorrdarrion and Thoros of Myr from the Brotherhood Without Banners, and Tormund Giantsbane of the Free Folk. Once upon a time, this team up was the kind of thing that only existed in fan fiction. Now, it’s making the fan fiction writers drool. Seeing them together isn’t even the best part, though. That happens in the next episode, where we see the seven of them talk about their experiences, both shared and separate, is amazing to listen to, and one of the best parts of this season. Since the moment she was born, Daenerys Targaryen has been living in exile from her homeland. Making her way back to Westeros and taking back the Iron Throne has always been her objective, and at the end of Season Six, she set out with her massive army, her allies, and her dragons. In the final scene of the first episode, Daenerys arrives in Dragonstone for the first time since she was born. 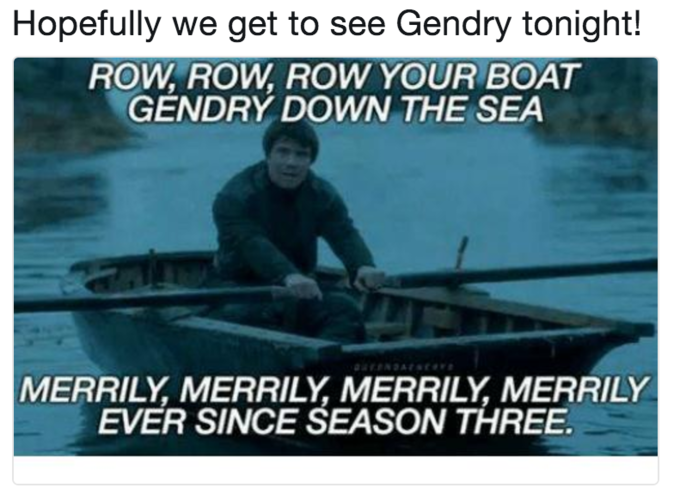 When we last saw Gendry, he was rowing all the way back to King’s Landing back in Season Three. After that, he just dropped off the map. It got to the point that people had made memes about Robert Baratheon’s last son. Unlike Joffrey, Gendry is the spitting image of his father: he’s strong, brave, and a good fighter. And since he grew up a commoner, he doesn’t have his father’s vices. So it was disappointing to see him leave in Season Three. The fact that the show chose to bring him back so close to the end means one of two things: either they’re trying to tie up loose ends, or Gendry has a role to play in the Great War. That said, I hope Gendry lives. After Jon and Daenerys, Gendry’s the person I want to see sit on the Iron Throne. At the very least, he can be legitimized and we can start calling Gendry Baratheon, Lord of the Stormlands. To be honest, I’ve been calling him “Gendry Baratheon” for years now. After Melisandre tells Daenerys and Tyrion about Jon Snow being the King in the North, Daenerys decides to ask him to come to Dragonstone and recruit him in her fight against Cersei. Jon goes to recruit her in the fight against the White Walkers, because she has her dragons, and Dragonstone has a mountain of dragonglass. 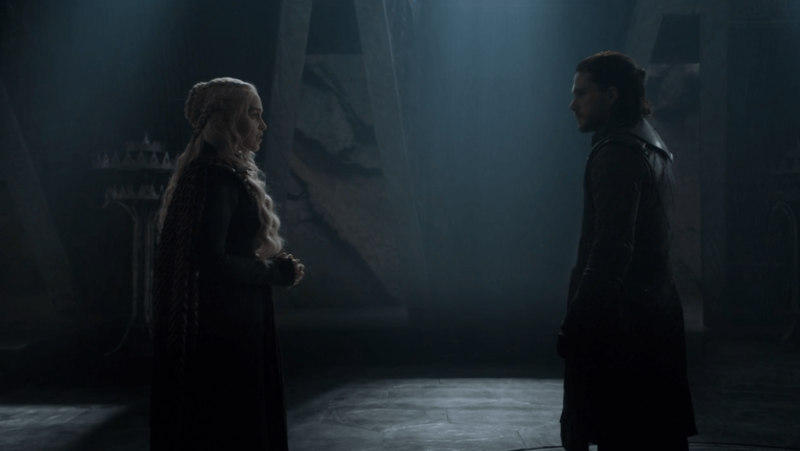 Their first meeting is awkward and filled with tension, and while the Dragon Queen isn’t convinced about the White Walkers, she does let him mine for dragonglass. Another moment that once existed only in the annals of fanfiction, this is a major moment for the show. Unknown to all but the audience, Jon and Daenerys are the last members of House Targaryen, and thus blood-related. Which makes the romantic tension growing between them all the more regrettable..
Cersei Lannister doesn’t care about anyone except herself, her children and Jaime. So when Jon and Daenerys ask her to join forces with them, she refuses, then seems to agree when she thinks her unborn son is at risk. Later, Cersei reveals to Jaime that her real plan is to let Jon, Daenerys and the Nigh King exhaust themselves, then fight the winner using her new army of mercenaries. Just when I thought I wouldn’t find any more reasons to despise Cersei, she pulls this off. She’s willing to let Westeros be destroyed if it means keeping her throne. She’s selfish, short-sighted, spiteful, and worse. 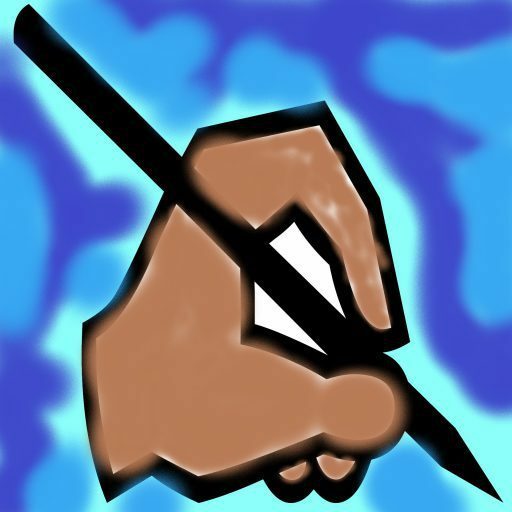 Everything that I despise in a ruler. Disgusted at his sister’s willingness to let Westeros die, Jaime finally abandons his sister and rides north by himself to fight in the Great War. The Jaime Lannister we met in Season One would never have done this, but he’s been through a lot since then. Being captured by Robb Stark, losing his sword hand, and traveling with Brienne have changed him into something better. He finally realizes that his sister has become as evil as the Mad King and wants nothing to do with her anymore. I hope he lives through the Great War. For years, the Lords of Westeros scoffed at the idea that the White Walkers were real, let alone a threat. If they knew the truth, then maybe they wouldn’t have exhausted themselves in the War of the Five Kings. Jon Snow silences those doubts for good at the meeting in King’s Landing when he presents a captured wight to the Lannisters and Euron Greyjoy. I will never forget the look on Cersei and Jaime’s faces when they first saw the wight charge at them. When Jaime asked them how many there were, I could tell that this was the most terrifying thing that he had ever seen. Then Euron Greyjoy, who we’ve never seen be scared of anything, pretends to run back to the Iron Islands and hide. Ploy or not, I think that he was truly terrified by what he saw. This moment makes everyone in the Seven Kingdoms realize that they are facing Armageddon. Regardless of how much they’ve hurt each other over the years, if they don’t fight as one, then there will be nothing left for anyone. Yet Cersei still refuses to help because she’s an idiot. After her attempts to use her Westerosi allies to take the Seven Kingdoms falls flat, Daenerys loses patience. Forgoing clever plans, she decides to take the late Olenna’s advice and be a dragon. She launches an all-out attack on the Lannister-Tarly army using her Dothraki and Drogon. The result is a total rout of the Lannister-Tarly forces. I had thought that the Battle of the Bastards was impressive, but this was one of the most amazing feats in the shows history. Dozens of actors, world-class cinematography, and the fact that this is the first true battle that the dragons have been in, all made for one of the best scenes in the entire show, a personal favorite of mine. Years from now, film students will study how they pulled of this scene. Last season confirmed that “R+L=J” was true: Jon Snow is actually the son of Rhaegar Targaryen and Lyanna Stark. Bran never anyone this, vowing only to tell Jon when he returned. Then Samwell remembered what Gilly read in the High Septon’s diary: Rhaegar had his marriage to Elia Martell annulled. All Bran needed to do was confirm it with his greensight. Lyanna was never kidnapped: she and Rhaegar fell in love and ran away together to get married in secret. That means that Jon, whose real name is Aegon Targaryen, is legitimate. All this time, all this fighting over who should be on the Iron Throne, and the rightful king has been under everyone’s noses. To be fair, I disagree with Bran when he says that “Robert’s Rebellion was built on a lie”. I consider it a tragic mistake. I doubt that Rhaegar and Lyanna meant for it to get so out of control. It’s the Mad King’s fault for starting a rebellion. Whether or not this will affect who gets the Iron Throne has yet to be seen. I do know this, though: if Jon and Daenerys keep sleeping with each other, they’re repeating the mistake that brought down the Targaryens in the first place! Agree with my picks? Ready for the Final Season? Let me know what your favorite moment from this season was. Next Next post: Holy Cow, It Worked!